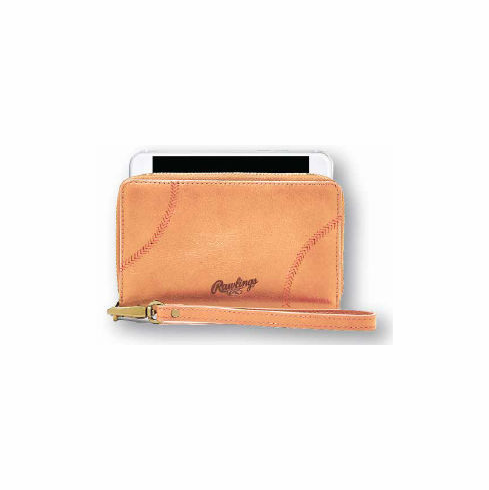 Rawlings Leather Baseball Stitch Women's Cell Phone Zipper Wallet. Choose tan or black leather! ~ Measures appx. 4.75" x 7.25" x 1". ~ Embroidered baseball stitch details on front. ~ Embossed Rawlings logo on front. ~ 3 credit card slots. ~ 1 interior zipper pocket. Pre-order yours today...these will be limited and should ship in February, 2018.